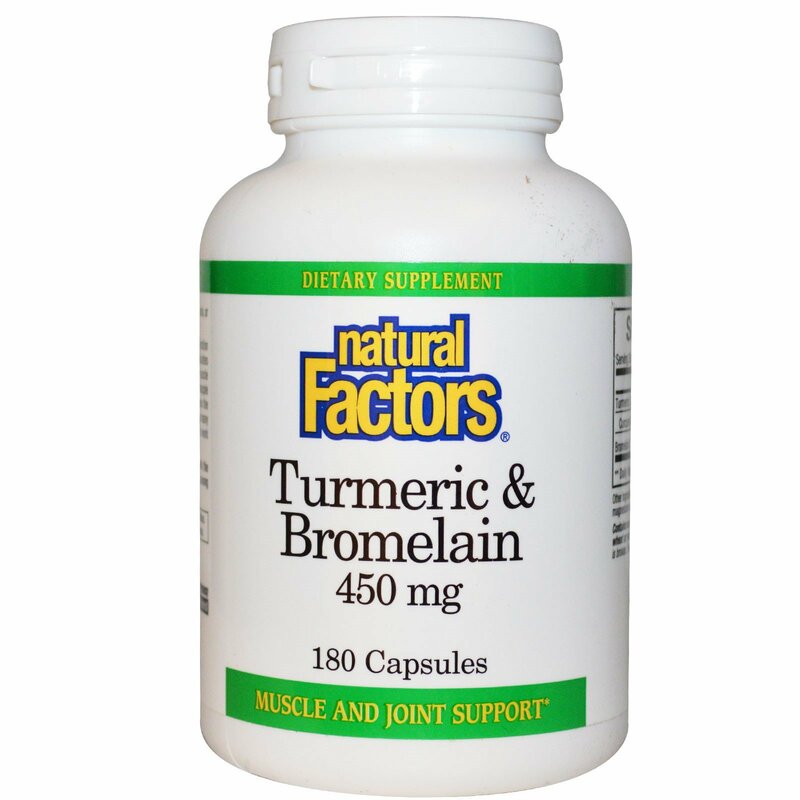 Natural Factors Bromelain and Turmeric capsules enhance digestion naturally while supporting and protecting the liver. Turmeric stimulates digestion, supports the liver and has a role in maintaining healthy muscle and joints. Bromelain, an enzyme isolated from the stem of the pineapple plant, aids in digestion by breaking down protein and also enhances the absorption of Turmeric. Recent studies also show that Bromelain has many health promoting properties. These superior standardized extracts work together, a classic combination. 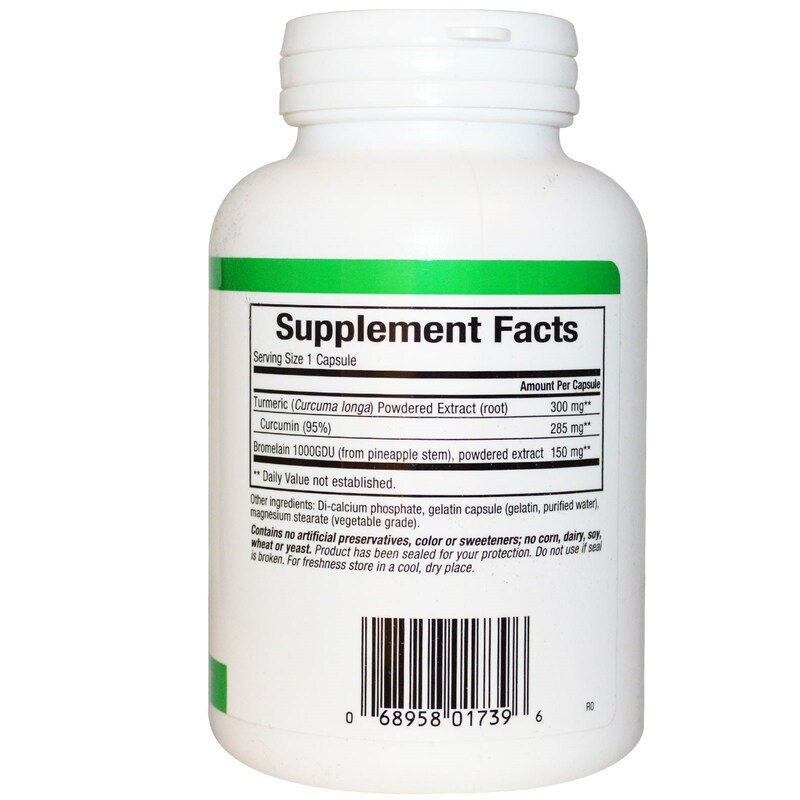 Di-calcium phosphate, gelatin capsule (gelatin, purified water), magnesium stearate (vegetable grade). Product has been sealed for your protection. Do not use if seal is broken. For freshness store in a cool, dry place.